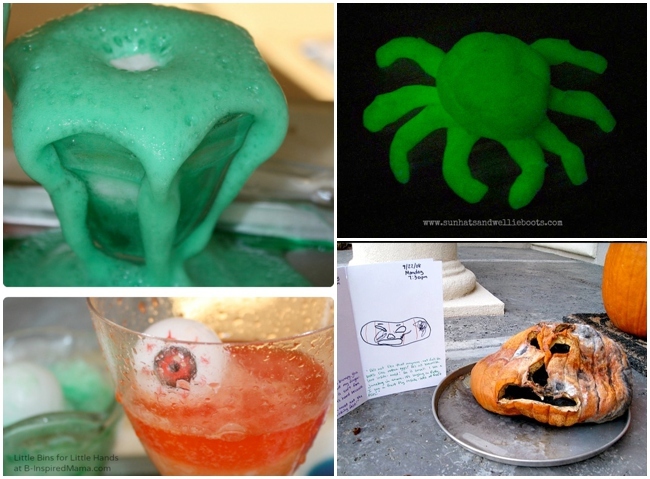 Get ready for a lot of messy fun this Halloween with deliciously ewwwy monster slime, play dough brain surgery, pumpkin goop, melting hands, candy experiments, spooky noise makers, fizzing eyeballs and so much more. 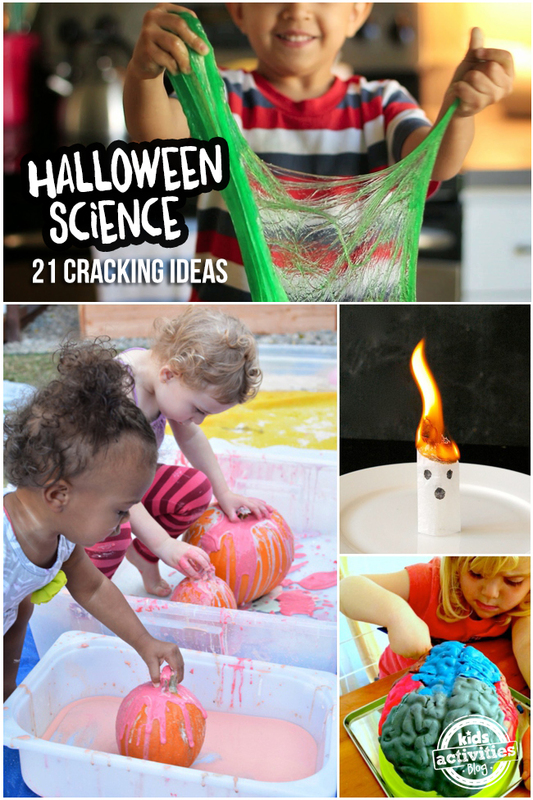 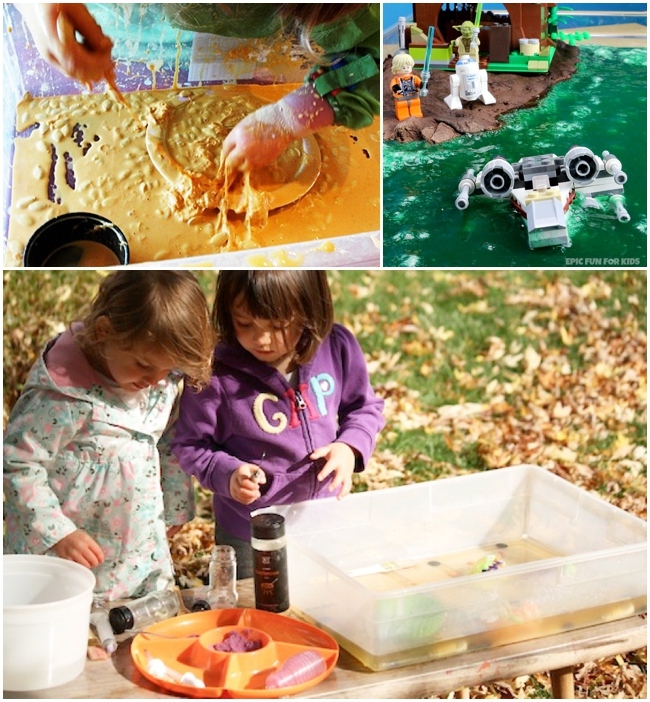 Ooodles of inspiring Halloween home science ideas and seasonal recipes for play to make the most of Halloween for the kids this year. 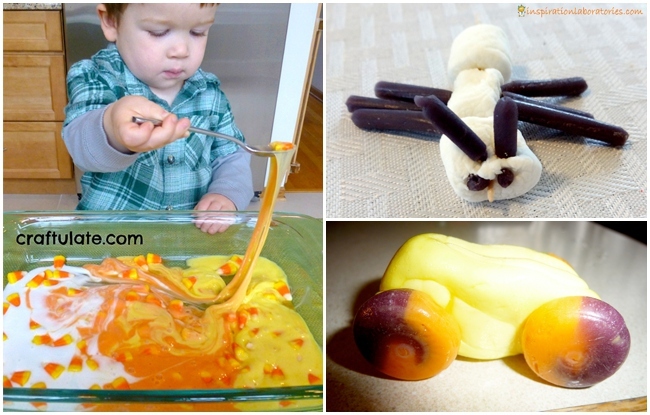 Salt and Ice Experimenting – awesome activity for kids by Happy Houligans. 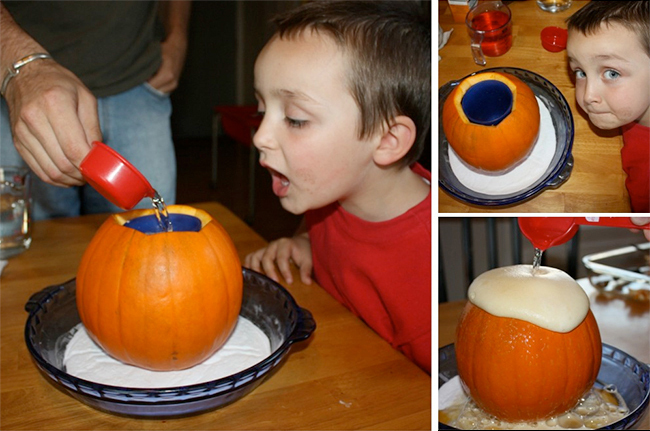 Watch the kids work together until they get the very last halloween goody out of the ice.